A healthy relationship is one without violence, that is based on mutual respect, trust, honesty, and accountability. In a healthy relationship, equality and partnership are key. 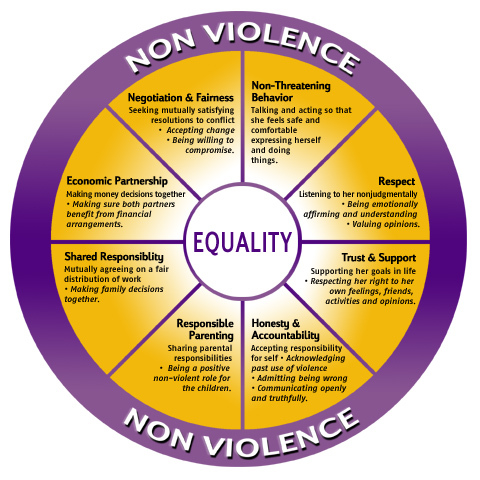 See the Equaltiy Wheel below for examples of how a healthy relationship works. I have a right to my own, separate identity. I have a right to have my own friends and hobbies. I have a right to decide where I go and what I do on a date. I have a right to live without fear of my partner. I have a right to end the relationship at any time. A healthy relationship is one where both partners feel safe, respected, and loved without guilt, humiliation or control. This does not mean that a healthy relationship is free from disagreements or problems, but that the disagreements are free from violent and controlling behavior and that the problems are worked through as a team. Communication and trust are two important parts of a healthy relationship. Trusting yourself and your partner allows for each of you to be able to express your individuality without fear of judgment or retaliation. It allows for each of you to have separate likes, friends, and interests that make you happy. Positive communication creates a relationship based on respect, love and openness. Positive communication encourages arguments that are fair, meaning that the argument is not about name-calling, putting down your partner, or bringing up the past as a tool to hurt and shame your partner. Instead, it is about identifying your feelings use "I" statements, addressing the action that may have caused the problem (i.e., overspending on finances, household tasks not being completed or shared, etc.). Letting your partner know that something is making you feel unappreciated, taken advantage of, uncomfortable in a calm manner allows your partner to understand how you feel, and realizing that this is not appropriate. There can be many things that can cause problems in a relationship such as money, time, commitment level, sexual and physical relations, and compatibility. It is important to communicate positively and honestly without using control to work through them. Many issues in relationships come back to a poor level of communication, rather than the issue being communicated being the large problem in the relationship. Healthy sexual relations is also important in a dating or other romantic relationship. Being respectful of sexual and physical boundaries allows both partners to feel safe and open in a physical relationship. Communicating your sexual needs is also important in a relationship, letting your partner know why the intimacy is important to you in a relationship helps to ensure that both partners needs are met. 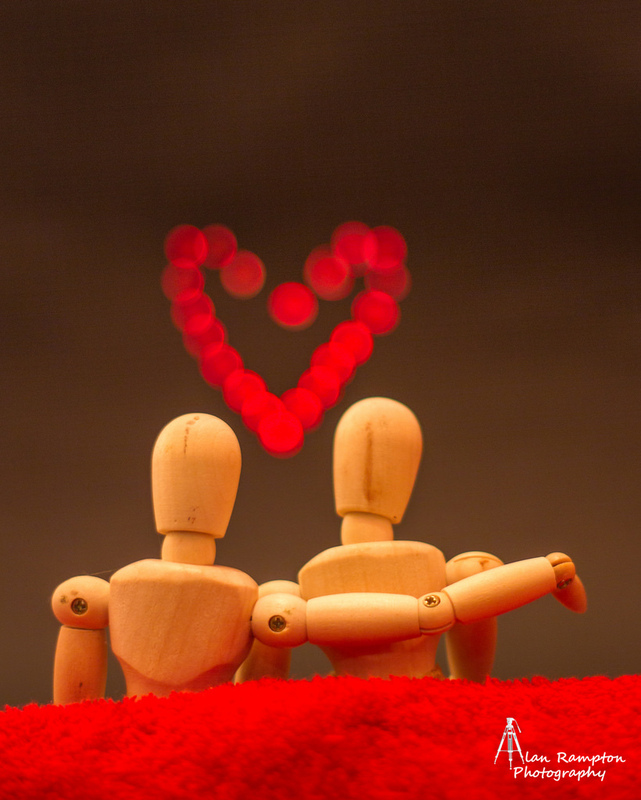 There are many things to consider when a person is part of a romantic, or any type of, relationship. Click here to take a short quiz, provided by Healing Journey's Energy, to determine if you are in a relationship that is healthy, and tips on how to address any areas of concern. Also, review the wheel at the top of this page to understand more about healthy relationships. If you want to know more about healthy vs. unhealthy relationships, contact a Safe Space advocate, 24 hours a day, 7 days a week at 406-782-8511.